ALBUQUERQUE, N.M. -- Janet Neal's instincts from her nursing school classes, nearly two decades earlier, made her look closely at her son's discharge papers and medication after a simple diagnosis of gastroenteritis by a Sydney hospital doctor. She knew something didn't seem right. The blood count results were not at a normal level, and her son Cullen's face told her things weren't well. The look was one only a mother or father knows. Cullen was scared. He was in pain. He didn't want to leave the hospital. He was convinced this was serious, much more so than any physician was noticing. "I told [my mother] that I wasn't OK," Cullen said. "I couldn't get up." So Janet grabbed the nearest nurse, a man standing nearby. She demanded someone take a closer look at the results. An ER doctor came to their aid and administered what should have probably been done a lot sooner -- an ultrasound. No one wasted any time once the picture popped up on the screen. Cullen Neal's appendix had ruptured. An infection was spreading throughout his abdomen. His spleen and liver were being compromised. "That's when they rushed," said Janet of the staff at the Royal Prince Alfred Hospital. A few blocks away, first-year New Mexico coach Craig Neal, already distracted and distraught over his son's condition, was conducting practice for the Lobos' first game of their Australian tour. "I was in the middle of practice and got word and then left as soon as I found out," Craig said. "There is a 10 percent mortality rate once it bursts. They told us it was the worst rupture of an appendix they had ever seen at this hospital." Earlier in the evening of Aug. 5, in the final four hours of a 14-hour flight from Los Angeles to Sydney, Cullen Neal had been incredibly uncomfortable. He was sitting with his parents and brother Dalton. He didn't eat. He didn't drink. He didn't go to the bathroom. He hadn't been 100 percent in the previous week while practicing with the team or with his high school all-star team, but he didn't say anything. This feeling on the flight was different, though. It was intense. When he got off the plane, Craig said he jokingly told Cullen to carry the luggage with the rest of the newcomers. He had no idea of the severity of the situation. There was idle time in the hotel lobby, and when the team got to its rooms, Cullen lay down and then couldn't get out of bed. He told his roommate, Australian native Hugh Greenwood, that he was in trouble. "I literally couldn't move," Cullen said. "I nearly started screaming in pain." His parents were called, and they jumped into a cab. "Luckily we guessed the right hospital," Craig said. "We told the taxi cab driver to take us to the biggest one." While the Neals weren't pleased with the initial treatment, they would end up being thankful they had landed at the Royal Prince Alfred, where Cullen would stay for 11 days. The surgery, the follow-up treatment, the consultations, the help with insurance, the phone calls, the warmth and the comfort are being remembered with fondness less than a week after they returned to the United States. As soon as the rupture was evident, there was no decision on the surgery. It had to be done. "I wasn't scared at that moment," Cullen said. "I was mad. I was mad because I wanted to play." This was supposed to be the trip of a lifetime for the Neal family. It was, but for all the wrong reasons. Cullen Neal was an accomplished scorer at Eldorado High School in Albuquerque, and the plan was -- and still may be -- for Cullen to start next to Kendall Williams and Greenwood for the reigning Mountain West champs and prohibitive favorites this season. But in those moments, as he was quickly being dressed for surgery, all of that seemed so distant and suddenly no longer possible. Cullen didn't leave the hospital until the 24 hours prior to flying back to Albuquerque. Janet didn't much either. Craig had to be with the team in Sydney and Melbourne, so trainer Nate Burney was with them as much as possible. The surgery was supposed to be brief, but the infection had spread so much that doctors needed to wash out his spleen, liver and intestines. "It was that dicey," Craig said. "Scary" is how Janet described it. The post-op recovery was worse. For seven days, Cullen was attached to a sack, draining out the infected fluid. Doctors told the Neals that the rupture either happened on the plane or shortly thereafter. "I'm almost glad I didn't know when, especially if it were on the plane," Janet said. "I was worried enough." Cullen wasn't in the clear even seven days out of surgery. His stomach was swollen. There was concern more surgery was needed due to a possible bowel obstruction. "We sat there for two days, worried about another surgery," Janet said. But it subsided in time to avoid a second procedure. Still, there was the issue of a return flight home. Janet was with Cullen as Craig was coaching the team. She knew he felt helpless. She had no phone until they purchased a local number so she could call to get updates on the team and update family in the States. Craig finished up the tour to Melbourne and the Gold Coast and got back to Sydney. Once Cullen was given the OK to travel, he had to be put on blood thinners for the trip home. That added another layer of anxiety. The flights were booked too, meaning the Neals had to be even more uncomfortable in coach. Fortunately, there was an open seat next to Cullen, allowing him much-needed space. But he was weak. He didn't eat for two weeks. He had lost 20 pounds, down to a shrinking 160 on his 6-foot-4 frame. "I think I only had one bag of fluid," Cullen said. Craig Neal said UNM athletic director Paul Krebs helped him through the anxious moments while the team traveled. He said he's indebted to Burney as well. "I knew how badly Cullen wanted to play," Craig said. "Our team went to see him, and they could see how sick he was. It was weird to then coach games. Before the games and as soon as the games were over, all I was thinking about was Cullen." Cullen has been back in New Mexico for a week. He's gained five pounds but said he still has very little energy. He's staying at home so Janet can manage his diet. School started Monday, but Cullen will wait another week or so to start his freshman year until he has the stamina to stay in class. His plan is to move into the dorms next week, but that has Janet even more anxious. She worries about him eating right and getting his strength. The Neals met with a local surgeon who was pleased with the Australian doctors. A nutritionist has been planning his recovery too. As Janet and Cullen sat in Craig's office Thursday, they were relieved that the worst was over. Patience has replaced fear. "He's got to play," Craig said. "We need him in our backcourt. He's the guy we were counting on to provide a lot of minutes. As a dad, I think about redshirting him. But as a coach, I want him to play." So, too, does Cullen. He said within six weeks he should be cleared to play. He can start some light conditioning once he has his weight and strength. But no contact for quite a while. There are internal stitches that need to heal. "I'm pretty fatigued," Cullen said. "I don't have much energy. But it's coming back." And so is he, as he prepares to play for his doting father, to play in front of his devoted mother, to play for his hometown team and to play a few months after the worst week and trip of his life -- one that could have had tragic consequences had it not been for his mother's perseverance and his own tenacity. It's not fair to say Craig Neal was forever content to be an assistant coach. He tried to get the head jobs at Georgia Tech and Colorado State in recent years. The effort was made. But it's also safe to say Neal wasn't heartbroken when the offers didn't come. He was coaching with -- not really ever under -- his best friend Steve Alford at New Mexico. His son Cullen was tearing up the Albuquerque high school scene as a big-time scorer. He loved taking his motorcycle on rides through the mesa and beyond. He was in a good place. And then, in a 48-hour whirlwind a few weeks ago, his life and career forever changed. Alford was approached by UCLA athletic director Dan Guerrero a week after the third-seeded Lobos' stunning Round of 64 loss to Harvard. Alford hesitated at first, but then jumped at the chance to take over the iconic program. "We never talked about a [succession plan],'' Neal said. "This really came out of the blue. He made a decision in a 48-hour window and it happened real fast. He loved the state. His family loved it here. He had his son Kory playing here and Bryce coming here. [But] it was too good an opportunity to pass up." So New Mexico athletic director Paul Krebs had to decide whether he was ready to commit to Neal. The players said publicly they wanted it to happen. If it still mattered, Alford certainly wanted it to happen. And it probably didn't matter, but countless members of the coaching fraternity were in his corner as well. And so it happened. On April 2, the 49-year-old man known by so many as "Noodles" -- who starred at Georgia Tech in the 1980s, played eight years professionally, spent several more in the Toronto Raptors organization, and then enjoyed the past nine years as Alford's loyal assistant at Iowa and New Mexico -- became a head coach for the first time in his career. And with it, the Lobos picked up a new signee. The Alford boys -- one on the team and one coming to the squad -- followed their dad to UCLA, but the father-son connection didn't end when the Alfords left town. Cullen Neal, who had battled Bryce Alford in city and state high school hoops the past four years, got out of his letter of intent at Saint Mary's and will play for his father. But it wasn't an easy decision. Neal said his son was torn. He said Saint Mary's coach Randy Bennett was great to deal with and understood the decision. But nevertheless, Cullen did his homework, calling Bryce Drew about what it's like to play for your father at the college level. He also talked to the Krugers (Lon coached Kevin at UNLV) and he texted back and forth with Doug McDermott about playing for his father Greg. Craig Neal also spoke with Greg about how to coach his son. "There was a lot of talk about this,'' Neal said. "It wasn't just a slam dunk. I even had him spend some time at the Final Four with Rick Barnes to talk about this. He did his homework. We ended up getting a top-150 recruit, which they haven't had a lot here. I'm excited about the things he can do with passing, scoring and really help us out on the perimeter. His shooting will help us a lot. UNM also had 6-foot-8 Devin Williams sitting out, and he should be a rotation contributor as well. Tony Snell was going to declare for the NBA no matter who was the head coach, and so he did. But the return of Mountain West player of the year Kendall Williams, rising big man Alex Kirk and guard Hugh Greenwood, as well as forward Cameron Bairstow, gives the Lobos a nucleus that should put them in position to be the Mountain West preseason favorite. But to erase the disappointment of the Harvard loss -- something that he continues to remind the players about as an unfinished business moment -- the Lobos must have a good start to the 2013-14 season. That's why Neal is pumped about the Aug. 2-13 trip to Australia, where they'll play three games in Sydney, Melbourne and the Gold Coast. "Australia will be a good time for me, to take our freshmen and all our players and give me a chance to experiment and coach three games,'' Neal said. The Lobos have a rugged schedule too, playing Kansas in Kansas City, competing in the Charleston Classic, hosting Cincinnati, and possibly partaking in a two-day event in Las Vegas, where Neal is hoping Marquette signs on to be the other marquee team. He also hopes to be back in the ESPN Tip-Off Marathon, where UNM hosted Davidson last year. The Mountain West will once again be full of potential NCAA teams, with UNLV, San Diego State and Boise State joining New Mexico as the most likely contenders. But will the conference -- and the Lobos in particular -- deliver when it matters the most? But instead of Alford picking up that responsibility, it's all on Neal now. Don't expect him to back down from the challenge. "I've been ready," Neal said. "I spent 12 years in total with the Raptors and then making the transition to college [in 2004] it was a bit like starting over. But my patience paid off and it worked out well. I'm taking over a program that has won six championships in six years, has four starters back and should be ranked in the top 20. Editor's Note: For more on the Lobos and their transition to Neal, check out Eamonn Brennan's take here. It's only July, but Steve Alford isn't holding back one bit about the Mountain West Conference race. Pick UNLV or perhaps San Diego State. Go ahead. Most will. But before you do, Alford would like to remind you of what the Lobos have done in the past four seasons. "If you're going to list the other favorites," he said, "make sure that you mention three of the last four [titles] have gone to New Mexico in 2009, 2010 and 2012." Alford has never been one to lack confidence -- as a player or as a coach. And there's nothing wrong with that. There needs to be more of that in the business. He's confident, yet not too cocky. He knows the Lobos have their deficiencies, notably inside after the departure of Drew Gordon and the knee injury that will sideline 7-foot incoming freshman center Obij Aget for the season. That means the onus will be on 6-11 Alex Kirk and 6-9 Cameron Bairstow to suddenly become contributors as the lone post players. Kirk missed last season with a herniated disc in his back, while Bairstow played just 15.4 minutes a game last season with seniors Gordon and A.J. Hardeman in front of him. "We've been one or two in the league for five straight years and to lose a guy like Gordon, that's going to be an issue,'' Alford said. But the guards? Well, the guards are the most talented in the Mountain West and will allow Alford to go with a quicker, four-out and one-in lineup next season. Kendall Williams, Tony Snell, Demetrius Walker and Australian Hugh Greenwood, who was a late cut by his country's Olympic team, are the reasons for Alford's optimism. Last season, UNM shared the regular-season title with San Diego State at 10-4, beat Long Beach State in the NCAA tournament and then lost to Louisville by three to finish 28-7. The Lobos won't be picked to win the league this time around. UNLV will likely be the favorite, with San Diego State and Colorado State pushing the Rebels. But New Mexico should be in the mix with league newcomer Nevada as a real threat for a top-four finish and an NCAA tourney bid. Alford will get a chance to coach his son Kory, who redshirted last season (his second son, Bryce, has committed for the fall of 2013). Alford is familiar with this arrangement, having played for his father Sam in high school. And Alford will give Kory and the rest of the Lobos another shot at a challenging schedule, something that previous UNM coaches weren't able to do. In the past, New Mexico was so restricted by needing to play upwards of 20-plus home games that it limited the scheduling for previous head coaches. But Alford has been given more flexibility and is taking advantage. The Lobos and the Mountain West sold the rights to a home game to ESPN so it could televise the Davidson game as part of the network's Tip-Off Marathon. New Mexico will also take a two-game road trip against likely NCAA-bound teams Saint Louis and Cincinnati after Christmas. USC plays at the Pit and the Lobos are continuing their two-games-a-season series with rival New Mexico State. New Mexico will also travel to the U.S. Virgin Islands in November for a Paradise Jam field that includes Connecticut, George Mason, Iona, Mercer, Quinnipiac, UIC and Wake Forest. And the Lobos are bringing in South Dakota State for a guarantee game after SDSU played at the Pit in the NCAA tournament in March once it won the Summit League conference tournament. The Jackrabbits will be picked to win the Summit again with the return of 21-point scorer Nate Wolters. No one could've seen Drew Gordon performing at an All-American level. Not even Gordon -- who arrived at New Mexico in 2010-11 as a castoff from a UCLA program that was watching players transfer out in search of higher, more stable ground. Part of Gordon's problem has been injuries. The rash of bad luck started with a broken hand suffered during his junior season in high school in San Jose. Then he suffered a stress fracture in his foot. He tore his meniscus in his right knee when he was at UCLA and tore the same ligament while recovering. His numbers at UCLA were decent in his second season, when he averaged 11.2 points and 5.3 rebounds a game. 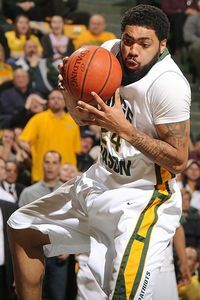 And last season, he averaged a double-double at 13.0 ppg and 10.5 rpg, but he wasn't completely ready to lead the Lobos. He said he transferred from UCLA to New Mexico because he wanted to run and didn't like playing in a half-court offense. But if he wasn't completely healthy, he'd settle and be a half-court player. And this season started with Gordon unsure if he was going to live up to his potential yet again. "I tweaked my knee, and it was pretty sore for a while," Gordon said. "I was real hesitant and cautious about going to the basket. I thought that it could be coming to an end. I thought what if I can't play the game. I had put in so much hard work." Gordon finally got healthy, and so did the Lobos. New Mexico struggled in the nonconference part of the schedule, losing to rival New Mexico State at the Pit and falling to Santa Clara in overtime in the 76 Classic in Anaheim in November. Then the team started to mesh. Kendall Williams and Hugh Greenwood were more than capable at the point. The depth, which included Tony Snell, Jamal Fenton, Demetrius Walker, Phillip McDonald and Cameron Bairstow, gave the Lobos options. And the defense was on lockdown, holding Saint Louis to 60 points, Oklahoma State to 56 points or most recently UNLV to 45 points. The Lobos haven't had a bad loss since the Santa Clara game on Nov. 24. The only two losses since November have been to San Diego State on Jan. 18 and at UNLV on Jan. 21. They've won seven in a row, highlighted by the best week of Gordon's career. He scored 17 points and grabbed 17 boards in the win over the Aztecs in San Diego and then scored 27 points and grabbed 20 boards in the home win over UNLV. "We were confident for the wrong reasons early," Gordon said. "We were confident, but we had too much hype in the preseason. We were about us rather than being a really good team. "Now we're more confident in ourselves," Gordon said. "It's make or break time for us three seniors. And the younger kids really want to win. UNLV and San Diego State were getting a lot of love, and we weren't. We had to rely on each other." Gordon has now moved ahead of Mike Moser, a former UCLA Bruin, as the favorite for MWC player of the year. The Lobos are done playing UNLV and SDSU until the MWC tournament in Las Vegas. And they hold a two-game lead over both those schools in the standings. New Mexico plays at Colorado State on Tuesday night and visits TCU on Saturday before hosting Air Force and Boise State to close the regular season. "We've got to be focused, we're coming off two really good wins against ranked teams," Gordon said. "Coach [Steve] Alford is pushing us to make sure we don't do anything like sit back and relax." The elite powers have resurfaced at the top of the Top 25 and across the high-major conferences. A few schools, like Xavier, Gonzaga and Memphis, as well as newcomers Baylor, Marquette and Vanderbilt are expected to challenge with deep NCAA tournament runs and possible Final Four berths. But what about the programs that missed the NCAA tournament a season ago? The ones that appear destined to rise this season? A run to New Orleans might not be prudent to predict. But then again, no one had VCU headed to Houston last April. But even the Rams didn't have a consistent regular season. VCU squeaked into the field and then enjoyed a magnificent postseason run. Connecticut, another team that had been nearly as erratic, albeit against superior competition, won the national title. Below are 10 programs headed for breakout seasons. If they fall flat, they may have no one to blame but themselves. The talent is in place. The landscape is open. And the opportunity exists for any team in this group to make the bracket its own for a weekend or two in March. 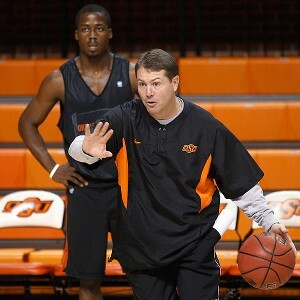 AP Photo/Sue Ogrocki The addition of freshman LeBryan Nash makes Travis Ford's Cowboys a team to watch in the Big 12. Oklahoma State: The Cowboys are picked to finish in the middle of the pack in the Big 12 -- and with good reason. Baylor, Texas A&M, Kansas and Missouri should all be deemed favorites. Texas arguably could finish higher than the Cowboys. But Oklahoma State has one of the top freshmen in the country who few discuss outside of the region in LeBryan Nash. He could be a star by midseason. Oklahoma State coach Travis Ford has assembled a cast that is more apt to run this season and cause havoc the way he's envisioned. The Cowboys have a loaded schedule after picking up a challenging game versus Pitt at Madison Square Garden on Dec. 10. Oklahoma State may still finish as low as fifth or sixth in the Big 12. But if they get into the NCAA field, consider the Cowboys a potential breakthrough team with an ability to cause problems in March. Marshall: Memphis is the clear favorite in Conference USA. But the Thundering Herd have two guards -- DeAndre Kane and Damier Pitts -- who can match up with any of the players on the Tigers. Marshall has plenty to prove to be worthy of a team that should be taken seriously. There are a number of nonconference games -- Belmont, Iona, West Virginia and Cincinnati -- that will show if Marshall is worthy of significant hype. And of course the Herd must make Huntington a tough place to play and be consistent to nudge at Memphis throughout the winter. If Marshall does that, you'll take the Herd seriously in March. Harvard: The Crimson are the pick to win the Ivy. They technically won a share of the regular-season title with Princeton last season. But Harvard lost the playoff game against the Tigers on a buzzer-beater and then got blasted at Oklahoma State in the NIT. Harvard is finally ready to be the Ivy leader from the season's start to its finish. Coach Tommy Amaker has the core of his team returning, and Harvard can compete with most teams in the country. Keith Wright is a legit All-America candidate. Kyle Casey, Brandyn Curry, Christian Webster and Oliver McNally are all experienced. The Crimson can make a name for themselves with a win at Connecticut on Dec. 8, easily the most recognizable game on the schedule. But if not, don't fade on Harvard during the winter. This team will be relevant in March and a trendy first-weekend upset pick. Detroit: Slaying Butler in the Horizon League has been like the search for the Holy Grail for conference opponents. Milwaukee thought it had the Bulldogs beaten when it hosted the conference tournament title game, only to lose. Detroit has the personnel to dethrone Butler, even with Eli Holman's status in doubt. The majority of coaches in the league tab the Titans as the team to beat and the most talented with Ray McCallum Jr., Chase Simon, Nick Minnerath and Doug Anderson. Members of the Valparaiso staff said last week that the Titans look like a formidable Big Ten team when they step on the court. Detroit has the opportunity to make the NCAAs with a solid schedule. Get there, and the Titans will be a hard out. Creighton: Greg McDermott was no fool when he left Iowa State on his own terms and seized the Bluejays' job once Dana Altman went to Oregon last year. McDermott had been in the Missouri Valley at Northern Iowa and seen the success and potential of arguably the top job in the conference. The Bluejays have a number of hidden gems who are flying under the national radar in Doug McDermott, Greg Echenique and Antoine Young. The problem for Creighton is that the schedule could have been stronger. It may need to have a significant run during the Valley tournament, which won't be easy at all due to the strength of Wichita State and Indiana State, to ensure a bid. But once they're in, the Bluejays have the personnel in the right positions to be a serious pest. New Mexico: Coach Steve Alford is going through a bit of a renaissance in Albuquerque. The Lobos had a big-time run two seasons ago but then took a dip last season. The ability to bounce back quickly will be on display in 2011-12. Alford has found the right mix of four-year transfers (Drew Gordon and Demetrius Walker), hidden gems out of high school (Kendall Williams and A.J. Hardeman) and an international sharp shooter (Australia's Hugh Greenwood) to put together a conference champ. The Lobos will have to manage the nonconference well and get past UNLV, but this team has the ability to be a second-weekend squad in the tournament. Saint Louis: Rick Majerus had a horrendous personal year with the death of his mother and multiple injuries and illnesses. He's also had to deal with the suspensions of his two best players. But he seems energized this fall and has a team that is committed to making serious strides in the A-10. Kwamain Mitchell is back after a suspension. He joins Mike McCall and Kyle Cassity as the core of this team. Majerus put together a challenging slate of nonconference games, giving the Billikens ample tests to see if they're worthy of the praise. Xavier and Temple are the standards in the A-10. St. Bonaventure is a legitimate upstart with perhaps the best all-around player in the league in Andrew Nicholson. But Saint Louis should a formidable team, poised to get Majerus back to the NCAA tournament. Virginia: The plan at Washington State was to get players out of high schools and take chances, in hopes they develop and reach their potential. The Cougars did, and Tony Bennett got them to the NCAA tournament. Wazzu's program isn't close to Virginia's. The Cavs have more resources, finances and access to players. Still, Bennett hasn't deviated from his plan. And now that Mike Scott is healthy inside, Bennett has a team that gets him, his style and his commitment to defense. The Cavs should be able to score and close games, rather than sit on the doorstep, unable to get significant wins. The timing is perfect for Virginia, too. The ACC is in a rebuilding mode outside of North Carolina, Duke and to some extent Florida State. The rest of the league is in flux, giving Virginia ample chances for wins and to establish itself as a top-four team en route to the NCAAs. Oregon: The Ducks have the Nike resources, the state-of-the-art everything and have been consistently recruiting talented players to the Northwest from urban centers in the Midwest -- regardless of the coach. Dana Altman also fully understood the need to infuse a few transfers, one is a risk in Wake Forest's Tony Woods, and another is a lock for success in Louisiana Tech graduate Olu Ashaolu. The infusion of newcomer Jabari Brown, who was a hit on a summer trip to Italy, is a game-changer for the Ducks. Altman said Brown still needs to be consistent, but who doesn't at this stage in the season? Oregon has a challenging schedule, which includes opening at Vanderbilt, so be patient with the Ducks. In a Pac-12 where there is no clear favorite (not Cal, UCLA, Washington or Arizona), the opportunity is there for Oregon to surprise. The Ducks won the CBI tournament over Altman's old team, Creighton. The natural next step will be the NCAAs. Long Beach State: Dan Monson has had a long road back to the point where he feels comfortable in the game. He left Gonzaga to try to rebuild Minnesota after NCAA violations. He wasn't able to turn that program around on a consistent basis. Now he's done that at Long Beach State. The 49ers were atop the Big West last season but didn't win the conference tournament. Long Beach will have to fend off Orlando Johnson and UC Santa Barbara again, but with Casper Ware and Larry Anderson, the 49ers should prevail. Long Beach has a monster nonconference schedule that could set up an at-large berth if it falls short in the Big West tourney. 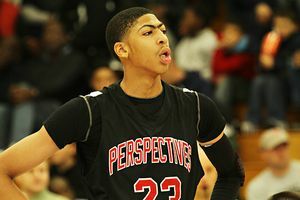 Long Beach will have the talent to win a game in March.